This site is dedicated to the Blessed Memory of the Shtetl Mazheik and its inhabitants, who were murdered in August 1941. Seventy years have passed since the depraved massacre of our Loved Ones. We can never forget those horror-filled days, in which our ancestors were slain. Germans and Lithuanians were ruthless and merciless. The evil and hell were more terrible than would seem humanly possible to contemplate. Yet the murderers were capable of this. They carried it out. On the 10th of the Hebrew month Av, August 3rd 1941 in the Gregorian calendar, and again on the 16th day of Av, August 9th 1941, most the men, women and children of Mazheik and surrounding areas were shot and buried in a mass grave. Some were buried alive. All suffered unspeakable anguish and torment. We honour their memory. It lives on. Their souls are eternal. A new memorial plaque in memory of the Martyrs of Mazheik (Mazeikiai) was placed in the memorial wall in front of the Martyrs Cave (a.k.a. Bnei Brith Cave) in the Forest of Martyrs in the Jerusalem Hills. Mazeikiai is located on the Venta River, in the north-western part of Lithuania, approx. 10 Km from the Latvian border. Mazeikiai is situated at the junction of the Libau (Liepaja) - Romny and Riga-Oriol train lines. The town of Mazeikiai was founded by the Duke of Zemaiciai Mazeika. Until the 2nd half of the 19th century, Mazeikiai was a small village or hamlet, with a population of some tens of inhabitants, mostly farmers. 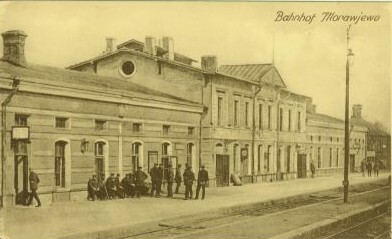 The settlement grew with the laying of the Libau (Liepaja) -Romny rail line in 1868 and the Mazeikiai – Riga line in 1872/4. 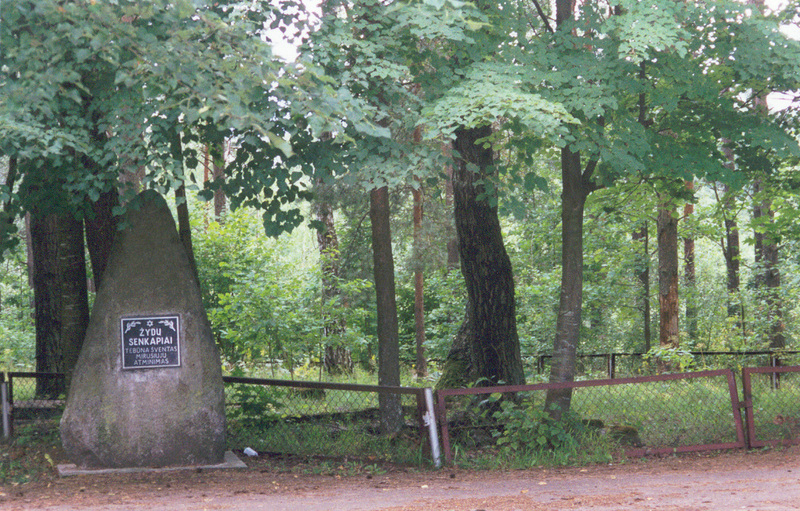 One of the railway stops was located at the crossing of three roads from Vieksniai, Leckava and Tirksliai, and it was named after a small farm whose master was Mazeika. This was the way how Mazeikiai was named. 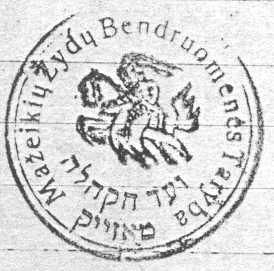 During World War I (1915), Mazeikiai Jews, together with most of the Jews of Lithuania and Courland, were exiled to inner Russia and the Ukraine. Most of the town was set on fire and destroyed. Following to the end of World War I, Jewish community life began to return and develop, resulting in the establishment of various community organizations. Jewish life in Mazeikiai came to an end with the mass killings of the men on Sunday, August 3rd 1941 - 10th of Av 5701 (actual day of 9th Av fast, delayed from Shabbat to Sunday) and the women on Saturday, August 9th 1941 - 16th of Av 5701.